I've said it a thousand times but, I am a big fan of picnics. 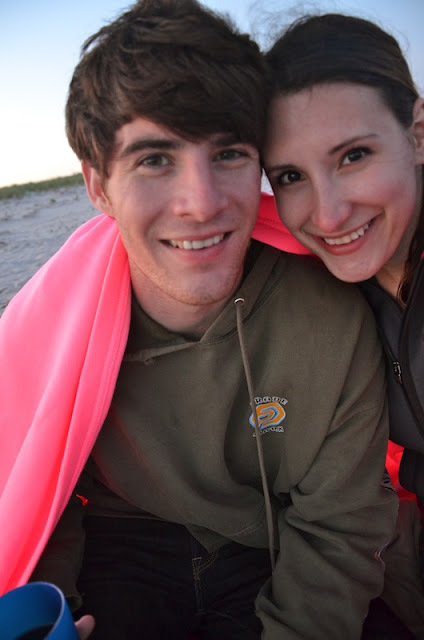 JD and I went to the beach for a sunset picnic. I have been dreaming about doing this since January. I love the beach, especially in the late afternoon once it cools down. and took the trip over the bay to the beach. It was such a lovely evening, watching the sun go down over the dunes. Next time I'd like to actually cook something to take out for the picnic. incase it gets a little chilly as night falls. A sunset picnic on the beach...sounds pretty perfect! beautiful photos. looks very romantic. this is so perfect. Definitely need to do this before the summer ends.